Ever wondered what business coaching can do for you and how it can help your company or start-up grow? Now is the time to find out. 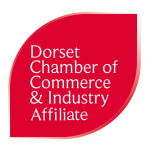 Simon Rigby, from Action Business Coaching, is offering Chamber members a free trial session. For more details and to arrange your free complimentary session – contact Simon on 0759 0673704. He is sure to leave you with ideas you can implement in your business straight away.